The calibers that run the watches are not always as exciting to look at or talk about as the watches themselves but without them there would be no watch to look at. 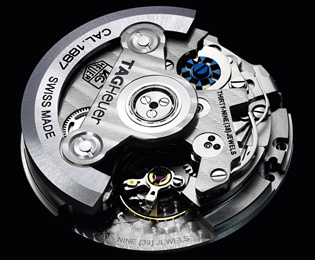 TAG Heuer has been in the news a lot lately, due to the drama packed Tiger Woods issue, but the company is most definitely trying to bring its focus back to what it does best: watchmaking. This new caliber will not replace the use of others that the company uses, such as those by Zenith, ETA and Dubois-Depraz, in TAG watches.